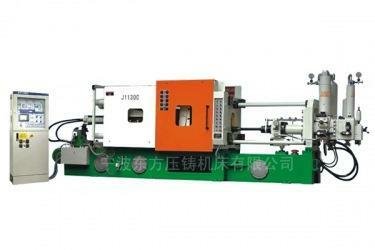 The machine is of a middle rank among the models of horizontal cold chamber die-casting machine series. 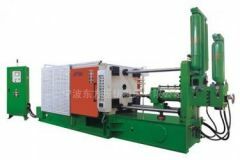 It is widely used for mass production of foundry goods made of nonferrous metal such as aluminum, zinc and copper in the industries of automobiles, motorcycles, meters and instruments, household appliance, hardware of daily necessities. 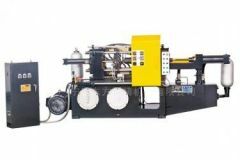 Computer-programmed control, the trouble location and adjust of machine are remote controlled, via communication net; hydraulic drive adopts import proportional control valve for control, crank expanding structure, 4-rod pilot elastic stress framework, locking that is tensile, faster and reliable, there are reliable security mechanism. 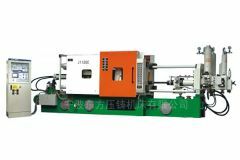 The high presision electrical-machinary adjusting device adjusts the die height, 4-phase injection is afforded for fast injection speed, up to more than 6m/s, and minimum boosting less than 20ms, and individual control of injection and pressure intensification is possible. 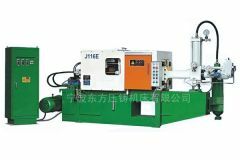 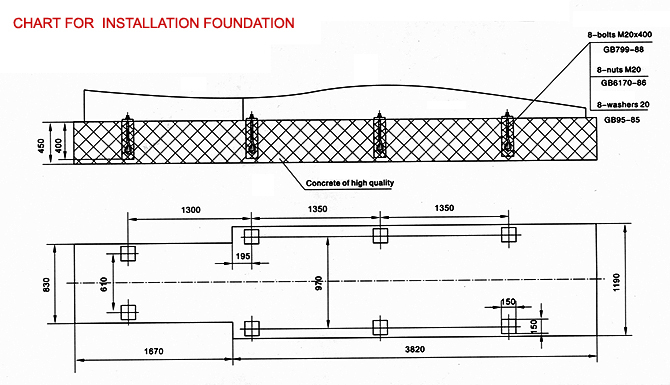 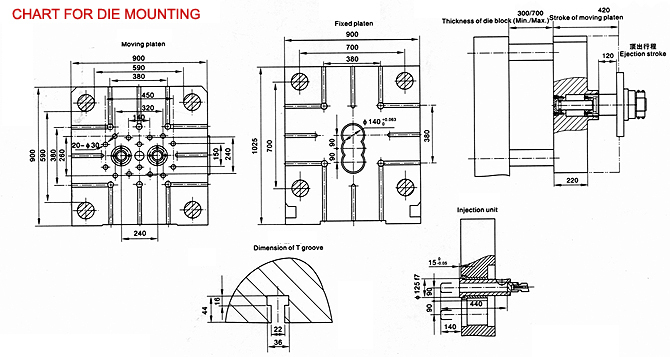 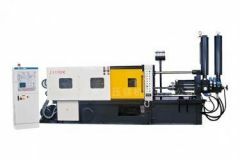 All parameters for injection may be adjusted separately against the requirements of producting qualified castings.3-tie bars connect the fixed plated with injection cylinder, thus there is larger operation space, this machine adopts advanced sealing structure parts and import sealling element.